Free from potentially drying detergents and SLS's this creamy cleanser leaves your skin thoroughly cleansed and soft. 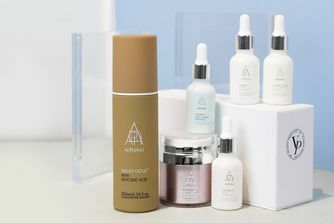 Australia's leading salon brand, Alpha-H, pioneered the use of glycolic acids in skin care nearly 20 years ago, meaning they've had time to get the technology just right for fast and visible results on signs of ageing, sun damage, sensitivity and acne. This hydrating non-foaming creamy cleansing lotion is perfect for normal, dry and sensitive skin types. Its 3-in-1 function means that it completely removes all traces of make-up (including waterproof mascara) as well as toning and re-balancing the skin's natural pH level. Containing aloe vera to condition and soothe alongside vitamin E to hydrate and neutralise free radicals, this cleanser will leave the skin perfectly cleansed, soft and soothed without the tight, drying effect of many cleansers. Use morning and evening. Apply Alpha-H Balancing Cleanser to damp skin, massage gently for up to a minute and then rinse off with warm water or a warm damp face cloth. To remove eye make-up and lipstick, apply a small amount to a damp cotton pad and circle gently around the area that needs cleansing. Aqua, Ethylhexyl Palmitate, Aloe Barbadensis Leaf Extract, Sorbitan Stearate, Glyceryl Stearate, C12-15 Alkyl Benzoate, Cetyl Alcohol, Lauryl Glucoside, Phenoxyethanol, Caprylyl Glycol, Tocopheryl Acetate, Citric Acid, Glycerin, Parfum. I use this product as my second cleanser, it works really well, I'm on my second bottle already and will be definitely getting a third. I find it hard to get a cleanser that works with my combination skin, it evens out my oily areas without drying out my already dry patches. After using it for a week, morning and night, I saw results in my pores and in the pigmentation of my skin. My skin can sometimes feel a little tight after, but feels beautifully smooth and clear after moisturiser. It is very concentrated small amount goes long way. I have my bottle for months now and I use it every single night. It is very calming on the skin and it melts the makeup away I can use it on the eye area. -oily to combination skin- I have just finished my third tube of this cleanser, it is the most incredible cleanser I have ever used and highly recommend it to all. I am in my late 20's and have extremely oily skin on my t-zone and dry skin around the nose and little patches on my cheeks but this cleanser seems to combat that perfectly. I use this with my Clarisonic mia on a daily basis and love it! My skin is so smooth and clear. 5 stars!! I discovered this cleanser via the blog A Model Recommends. I've used it for a few years, day and night, as part of my double cleanse. I also use Emma Hardie Moringa Cleansing Balm. The pairing is a dream for skin. 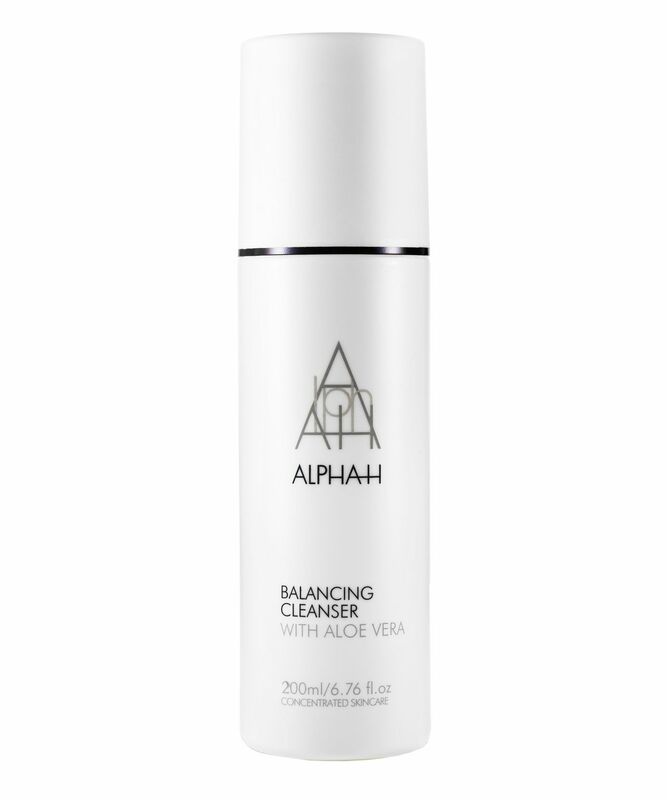 This Balancing Cleanser is appropriately-named: skin is left clean, clear and fresh with no harsh effects. It's a permanent fixture on my bathroom shelf. It last for ages and is great value for money. I'm starting to have breakouts since using this cleanser. Thought this was a gentle light one because I have sensitive skin, but it didn't work for me. I never leave reviews but always read them and felt the need to share how much I love this cleanser! I have been using it for a little over a week and it has already completely changed my skin! I've changed nothing else in my routine yet my skin has become smoother, less irritated, my spots have dramatically reduced and I've had no new breakouts for the first time in months, I've already ordered another one so I have a supply of it! Everyone has noticed the improvement and I can't stop looking at my skin. The only thing I would say is that you might need to go in with a balm or oil first to remove heavy makeup, otherwise it's amazing. I had this in the Alpha H Discovery Collection and loved it so much I bought the full size when I'd finished the tube. My skin flits from moderately oily to very dry/sensitive and although I don't use this every day, I find a couple of times a week as my second cleanse with makeup removed keep oil at bay and helps breakouts. Will probably repurchase, a lovely product. This would have to be my absolute favourite cleanser. Creamy and light and free from those foaming nasties, it leaves my skin feeling clean but never tight or dry. Highly recommend to all. I tried this as part of the Discovery Set. A gentle no-frills cleanser which smells faintly of cucumber and mint? Not quite sure but a refreshing light scent! This doesn't contain any AHA unlike the rest of the Alpha-H range so it is good for use around the eye area if needed. Removes light make up and cleanses well yet is gentle on the skin. Upon first application I have to admit, I was a little underwhelmed with this product and thought I had just added to my ever expanding never-quite-finished bottles of cleansers. However, after investing in 7 (yes 7) wash clothes and I actually started using the product as directed, and not just rinsing it off my face, I am totally in love. It is a very gentle and softening cleanser and despite my combination skin, it has not broken me out. I really recommend the product, especially a double cleanse which is leaving my skin seriously buffed at the moment. I'm on the 3rd bottle of this cleanser and I just love it! I've normal to dry skin, and it's creamy but not heavy texture is absolutely perfect, after using it my skin feels so hydrated and clean. I used it both in the morning and evening (in the evening as a 2nd cleanser) and I couldn't be happier with it! This is my 3rd bottle and only Tata Harper and Ren cleansers do as good as this. I have dry, dehydrated skin in my early 30’s with the odd hormonal breakout and this stuff is fantastic. Creamy but not heavy, doesn’t leave my skin feeling tight, stripped or dry, cleans really well (even removed makeup, especially mascara brilliantly with minimal effort) and my skin really enjoys this. Perfect 1st or 2nd cleanse or both! Would highly recommend, lasts a long time and is a good price point. The first few days of using this cleaner, I was over the moon at how soft my skin was feeling, but after a few more uses my skin started to get extremely oily around the T-zone. I usually have pretty normal skin, so this came as a shock to have quite an oily texture to my skin after using this product for about a week. I'd say it was because I used the product twice a day. I started to use it every other day and my skin went back to being very soft and smooth. I would recommend this product for every day use for dry skin, as it really replenishes and moisturises, or for ever now-and-again use for normal skin types. My skin is usually completely clear apart from a couple of blackheads on my T zone. After using this alongside the essential hydration cream for 4 days I started to break out all over my face. I continued to use for another week and my breakout got worse and my skin became very red despite me not having sensitive skin. Obviously from reading other reviews this product works for some people however based on my experience I wouldn't recommend it. I know this is a star product for Alpha h but I didn't feel in love with it. I use it mostly in the mornings but it sometimes feels tingly around my eyes which is not a good thing for a cleanser. It's ok, but nothing exciting. I will use it up but won't repurchase. I think you can find better cream cleansers that are more affordable. I would give it 3,5 stars! This cleanser is amazing. Its creamy, non irritating and non foaming. It removes makeup and leaves my skin feeling soft and nourished. It has to be the best cleanser I've tried. My skin feels so clean afterwards without feeling stripped. It hasn't broken me out which some cleansers tend to do, after using it, the skin looks healthier and more hydrated. Very gentle and non drying, I personally use this as a first cleanse as it's so effective at removing make up, including eye makeup. It really does help to regulate the skin, upon first use i noticed my skin became less oily and makeup lasted longer.